If you find out the new URL before it is officially announced then please do not add it to the comments. If you do get the URL first be sure to post the details of where you got the information from otherwise the comment will be deleted. Visit the Chat Room for some live interaction or stay with the comments for updates. 09:05am - DavidBCooper We got a bag and board that says 'Widmore Publishing' and the new address on it. Hope the print is good! 08:40am - SophieBOYY - Here! Not open yet but at least I made it! 08:15am - SophieBOYY - That's me left! See you all there! 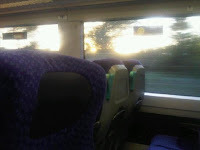 07:50am - LostGeekGlasgow - Next stop Glasgow. Too early in excitement. Will there be loadsa people there? I could have been first in another dimension. I won't. Rules are rules. Did I miss my coolness ? @LightRail - Let's give him the honor for the next 2 minutes! to many peeps in the world to give props to. willing to give Zort 60 seconds a day. 2 minutes today means indebtness, and to many people are in debt as it is. Oh what a night to be a raging insomniac. And here I never thought my 3 or 4AM sleeping habits would ever pay off! I am so excited I can be up and see everyone have fun. what's happening in the chat room? 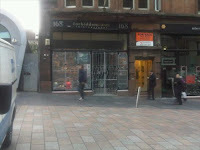 Has everyone seen the picture from the front of the store fro LostGeekGlasgow ? I've put it on the main blog page. Yep. Lostgeek is having breakfast. I told him to send photo. Chat isn't the place to be if you don't wat spoilers. Sorry about the chat room if anyone is bothered about the poster being out early. Anyone knows what's going down in Glasgow right now? I'm at my PC with a cup of tea and some toast with marmalade. Looks like it might be the best turn out to date. There is at least one of me every week, that guy who says they've been following along for weeks but just never jumped in with a comment, and then thanks all of you for the awesome time. But seriously I feel like I know all of you... well in a way I do. 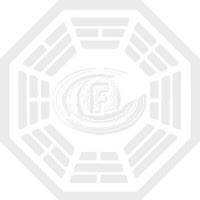 I know we all love LOST!!! Thanks everyone, and the best of luck! Morning all - have just logged on so haven't seen the spoiler at all - but does that mean that dcaapb have put it up really early? No one needs to worry, nothing is for sale yet. So cool that @davidbcooper and @hollybee have met on the train! That's what this is all about! @sophieBOYY is stuck in traffic and doesn't think she'll get there in time. maven, they are friends but sounds romantic. My moneys on it being fake anyway, not that I bothered lookin. Just someone messing with us. Yes, I don't want to jump the gun, but could we have our first ARG wedding ? Oh the poor traffic person! There just isn't anything worse than wanting to get somewhere and cars are all in the way. heehee - hope that there is a romance, that would be amazing! @sophieBOYY thinks she can make it! Right - I am going to try and get dressed for work and eat breakfast while still looking at the screen! Just occurred to me that @sophieBOYY is texting and driving! Not a good combination. Morning all! Did someone say the poster has been leaked? Yes, there has been a leak, but the bung seems to be back in for the moment. Martyn here, ready for some poster action! my stomach is grumbly. can't figure out if it's for food or a poster. Phew, good. And, by the love of all things holy, did The Love Triangle actually sell out? Morning Martyn, happy or sad you didn't go up to Glasgow ? Good morning! 4:42 in the morning - what am I doing! hey, how do you "log in" to DCaaPB? someone said you could to save the time of entering your card number..
@davidbcooper & @hollybee are there! There's 4 people so far. I guess the selling out of The Love Triangle shows the "uptick" in people visiting the site...ugh, we're going to have to be fast again if we want this one. and morning btw :D kudos to those who are going there live~!! I've tried and you can log in, but you can't save time as it asks you to reauthenticate when the new poster goes up for sale. Mixed emotions really. Really wish I could of gone but oh so glad I didn't have to drive for 5 hours or get up at 4 this morning to start driving. Greetings from Indiana... i'm writing this with one eye open as I try to wake up. i think the love triangle sell out is just people 'practicing' for this reveal. it's in a lot of carts right now. wouldnt be surprised if it went back on sale again..
@lotteryticket My GF just informed me that yes, I was a dork too. My ego is hurt. Seems as all have made it. Sweet! Gotta love tabs. Twitter.. chat room... blog. So excited. 13 minutes to go. Good luck to all who try for this print! To anyone there, say hello to my friend Freya when she arrives in a few minutes, she's doing me a massive favour by going today! and a big thanks to our Glasgowian friends!! I'm just gonna throw it out there. If you have the $$ and the time to purchase on behalf of someone else, please consider. LT; I think AndySchex is off somewhere concentrating on trying to be first again! LT, will keep that in mind. @Ginger I am just the same! I am giving myself a headache from getting too wound up, haha. Is love triangle missing from the hub now, or is it just me? Morning all! I can't get chat or the Dark forum to work, but this is where I usually hang out for reveals anyway. :) I can't believe I woke up before my alarm (at 4:40 am). Yawn! @Ben Ritter Omg, it isn't. I wondered why all my frames shifted when I refreshed! I love seeing pictures of LOST gate monkeys! Well, I like that they hold off opening the sale of the poster for a while after it is revealed. DarkUFO forums are down due to excessive load. That means everybody's up! They took it off so they can re-release it as poster #11. Good morning from Maryland in the eastern US! Looks like I lost my voice in chat, haha. mornin' Barb. good morning from Columbia, MD! Hi, John-Paul! I'm in Dunkirk in Calvert County. I kind of like it. I couldn't tell it was Lost-related if I saw it out of context. Mr. Friendly!!! I love it! Hey! That line is right from the Pilot. I woke up at 4 in the frigin morning for this crap?!?! Mr. Friendly should be happy! Was convinced it was a desmond poster. Now do i or don't I buy? Eh, i'm passing on this one too. Good luck to all that want! I'm going back to bed. haha. i was really reallly REALLLLY hoping for a Desmond/The Constant print. color me disappointed. on many levels. That is abstract. And thanks cheaters for spoiling! Oh lord, I think my cat could sense my stress levels or something because he's just standing in front of the computer going: HAI. LOOK AT ME INSTEAD. Ok, gang....hope you all get it if you want it! Not for me! Good night! hmm.. I like it. I just don't really want it. Not a fan of Drew's style. Oh well, I can save money for the next drop. 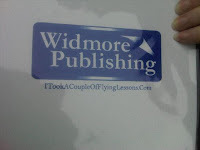 We got a bag and board that says 'Widmore Publishing' and the new address on it. Hope the print is good! It's a nice idea and sort of what we thought, but not sure if it is worth a purchase. Wish another 200 of Crash were re-released! I wonder how fast this will sell out. Will the time difference change anything. I hear ya, I'm barely awake myself! How is that supposed to be Walt? Has this guy even seen the show? I like the three posters I have. So I'll leave this one for those who need it. I like it. I think it kind of captures just how intimidating Mr. Smiley was and the sense of powerlessness the losties had. I do like it, and I know where I could put it but i'd rather not. It's like the Love Triangle for me, really detailed poster but not worth spending my $50 on. Oh well, let's have the clue for next week then! I'm with you anon...I kind of like it, but I don't think I really want it. Also, I agree with comixguru and others who would really like a Desmond/The Constant, or a Charlie/Not Penny's Boat one. Think I'm heading back to bed. See ya'll later. Hopefully the prize for being the first purchaser is a fake beard and some glue. Now the waiting game begins for the link to go live for purchase. Also, I'm not sure I could use this to trade for the swan station. Will be intrigued to see how fast it sells out though. Thanks to our friends in Glascow! Thanks to you all that kept the update on my progress! And us coolios that's went! Yes, thanks to those on the ground in Glasgow. Back to bed. Thank you Glasgow LOST ARGers! Not for me, again! I want a poster I really like. I had to think hard about this one. Should we still buy or just pass & let people who really want one have a go? Scoutpost - totally agree with hoping for the two you listed! Back to bed - still can get another hour of sleep before work! Good luck to purchasers. This poster is kind of neat. I have The Numbers and don'r really want another big head picture. I really want The Smoke Monster. I thought they would stay away last week considering not a lot of people liked it but still sold out in two. Who knows! The more I stare at it the more I want it but 2 wall spaces left, just not going to happen. Good luck to those who are buying it, i'm off out to get some bike lights instead. Cheers LostinLondon! I don't think it'll be a popular swap either. @waffle....mr smiley????? lmao its MR FRIENDLY....dont you watch the show?? Thank you Glawgow LOST ARGers! I like the concept and the mood, but bogus Walt and Friendly spoil it for me. Ok I didn't go back to bed yet. Wonder what's going to happen in NYC? Another sway giveaway like they did in Tokyo (only hopefully better orchestrated)? Don't know if I'll be up to see that one. @Ginger, I know what you mean. When this started, I decided I would like a Ben poster, since he is a favourite character of mine and since money is so tight, I can only really get one. I am going to sob if no Ben one ever comes, or if I miss it when I could have tried for others! Yeah, I watch and love the show, but it's 5 a.m. Give me a break. Are we thinking the buy now will be at :30 after? Wonder if they'll do a poster called "the Oceanic 6" ? love the drawing of the boat, those thick textured lines. love the colour. i just cant get past the floating hand and the the way freindly's head is rendered. this artist had soe very effective prints in the past. this might grow on me, but not right now . Still no update on teh DCAB page. Will ths have to be updated first before they go on sale? I hope there is an intern ready to start the sales on htese things this early in the morning. Should we try to buy???? for others, if we don't like it? No, if you don't want it DON'T BUY IT. That's the main problem here.